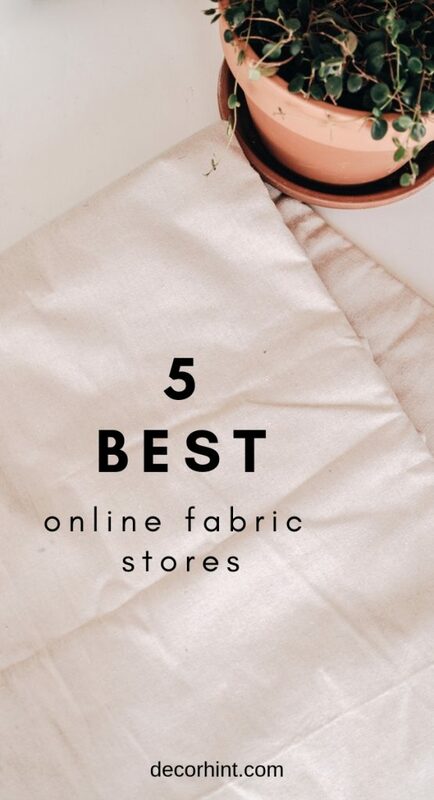 These are the 5 best online fabric stores! Since I sew a lot of projects on this blog, I wanted to touch upon the 5 best online fabric stores. In my opinion of course. I am a huge fan of making a lot of home decor yourself. You save so much money that way. Plus, when you get sick of it or when a new season is here, you can switch things up fairly easily. One of my favorite things to do is to peruse my favorite online fabric stores. I can’t tell you how many times the minutes turned into hours and before you know it, I’ve got an online cart full of fabric goods. Sometimes it’s nice to actually go in a store to buy fabric, where you can touch and feel the actual fabric. But with a toddler in tow and so many other things going on at home, I rarely have the time. I’m sure there are so many of you in the same boat. Buying fabric online can save you a lot of time and it’s fun to put together a moodboard of fabrics to see how they will look together. I’m starting off with a biggie. This is one of my go-tos every single time I’m starting a sewing project. Well, this and Amazon (more on that below). You can find so many good fabrics here at affordable prices! Actually, Fabric.com is owned by Amazon. So, when you go to check out, you can pay using your Amazon credentials. The only thing you won’t get is the 2 day shipping if you are a prime member (for that you have to buy on Amazon – again, more on that below). 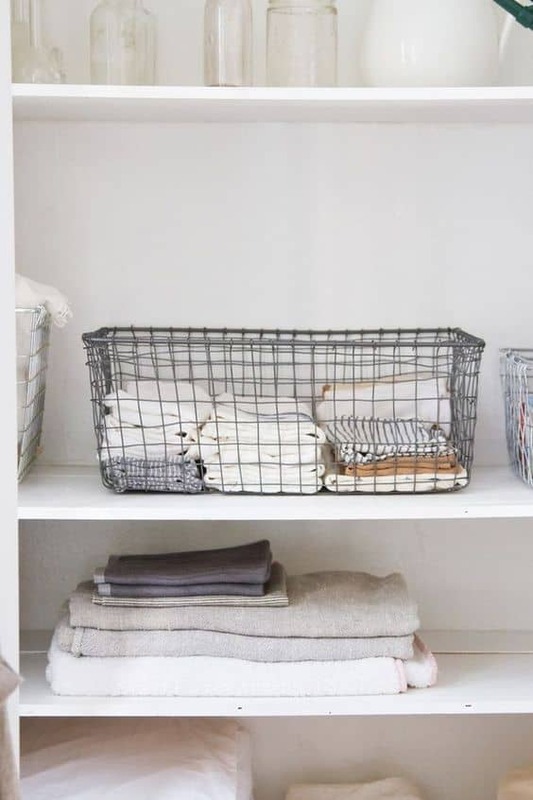 A lot of celebrity designers from HGTV and other places have fabric lines that are sold through Fabric.com. Here are two examples : Scott Living (as in Property Brothers) and Genevieve Gorder. And I really love how everything is so organized on their site. You can filter your search by fabric type, price, designer, color etc. They also have an amazing selection of outdoor fabrics. Here’s the other great thing that not many people mention – you can buy some fabrics in 1/2 yard sizes!! Thereby (is that a word?) saving you even more money! Sometimes you just want to make a quick pillow cover and you already have fabric for the back piece and just need the front part of the cover. See what I mean? I really love the option of 1/2 yard sizes. 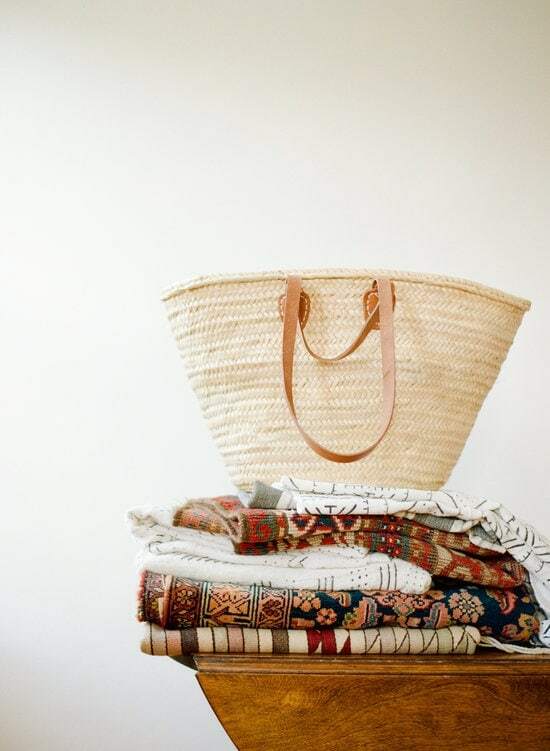 Here are some other fabric brands to check out here (just enter them in the search bar and go) : Premier Prints, Dear Stella, Fabricut, Cotton + Steel, Michael Miller. I’m sure there are others I’m forgetting and I’ll update this post. Oh, Amazon. Is there anything you can’t do? While Amazon doesn’t have a TON of fabric options, they are the winner when I need something quick. You can’t beat getting your fabric in two days (for most options – some are still longer than that). For instance, when I made my chambray pillow, I purchased the chambray fabric from Amazon because I didn’t want to wait long. The price was fair and the fabric was beautiful! Ticking Stripe is another good option to get on Amazon. The other fabric I love to buy on Amazon? Canvas. I dig this brand of drop cloth. It doesn’t have that yucky seam down the middle. It’s a good price, you get a ton, and you can make so much with sturdy canvas (like zipper pouches). Love! I very passionate about supporting independent artists and designers. 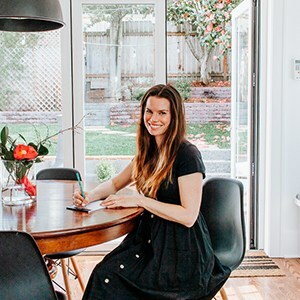 After all, I have an Etsy Print Shop so I understand how much hard work, dedication and creativity goes into having your own shop and designing your own products. Spoonflower is great for this. The fabric is made by unique designers from around the globe (you could even design one if you want and submit it!) You can find really unique patterns here. I also get a lot of great project ideas from their catalog. It will feature a lot of their patterns and designs and it opens up a whole world of ideas for me. They also print their designs on wallpaper and gift wrap. If you wanted to, you could buy fabric and wallpaper in the same design and throw together a very coordinated room. I’ve been very happy with all my fabric purchases from Spoonflower and highly recommend you check them out as well. Many of your know Minted for their amazing selection of artwork. But did you know they also sell fabric by the yard? Their fabric is definitely pricier but the quality of material is second to none. 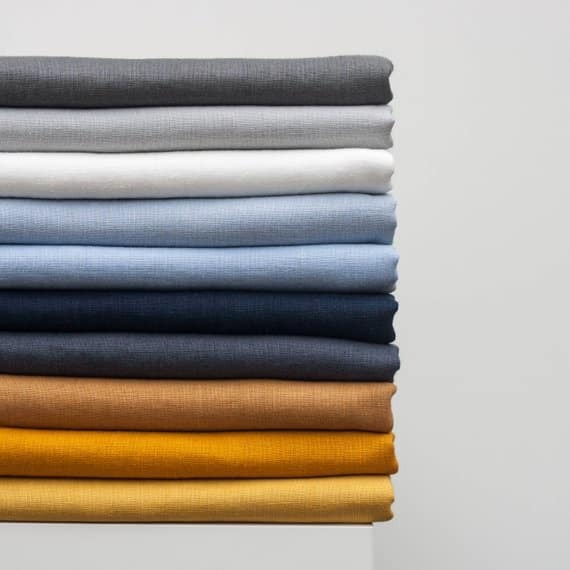 You have the option to have the fabric in either premium cotton or a really nice linen. I’ve made some beautiful pillow covers from their fabric and they are worth checking out. You can pretty much get anything you want on Etsy these days. Amiright? If you are looking for a particular fabric, Etsy is a great place to look. Chances are, someone out there has an Etsy shop for the fabric you want. I’ve bought linen fabrics here, mudcloth and tribal fabrics (great place for this) and farmhouse fabric (like grain sack). They have amazing options. The sellers are the best on Etsy too. So there you have it. 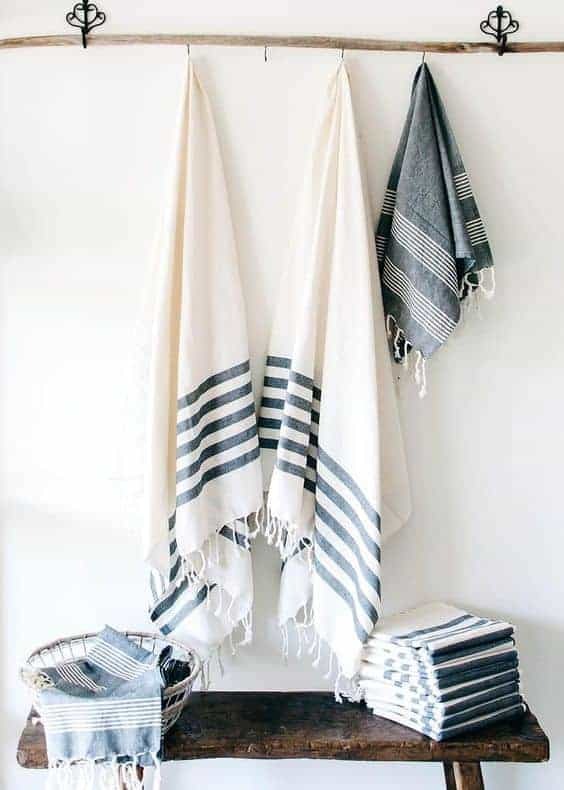 The 5 best places to buy fabric online. Where do you guys like to buy fabric?